The electric dining table is equipped with an electric turntable on a large round tabletop. When used, the turntable can be automatically rotated at a low speed according to the setting, which is convenient for the diners to grab food dishes. 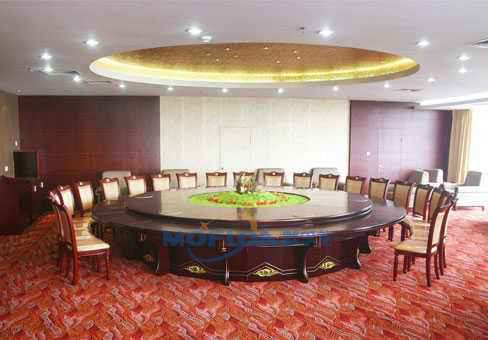 At present, the customer groups of electric table are mainly large hotels, hot pot restaurants and so on. 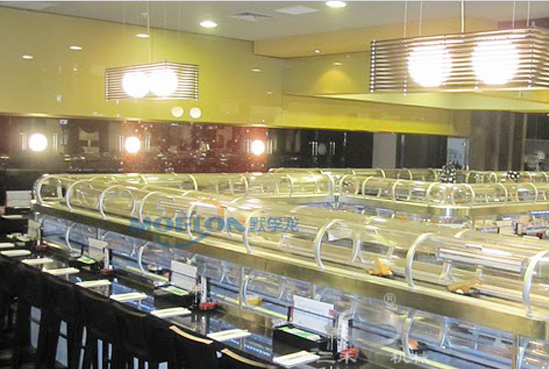 According to the survey statistics, there are numerous small and medium sized hot pot restaurants. As far as the domestic market is concerned, according to market surveys, due to the revival and development of the hotel industry, there is a huge demand for electric table. Rotary catering equipment originated in Japan and is widely used in rotary sushi restaurants and rotary hot pot restaurants. With the improvement of the service level of the catering industry, ordinary single-layer rotary catering equipment can not meet the market demand, there are more complex hot and cold double hot and cold catering conveyor lines. The electric rotary table and the rotary equipment are in continuous rotation/rotational motion during use. Usually there are electromagnetic heating devices on the turntable, or decorative lights, fountains, etc. Especially for hot and cold double-decker catering conveying equipment, in a large-scale restaurant, the length of a delivery device may reach hundreds of meters, and it requires continuous heating and cooling of food. How to solve the winding problem encountered in the rotation, previously used a motor and a plurality of gears to drive the turntable to simply rotate, but can not transmit power for the turntable . 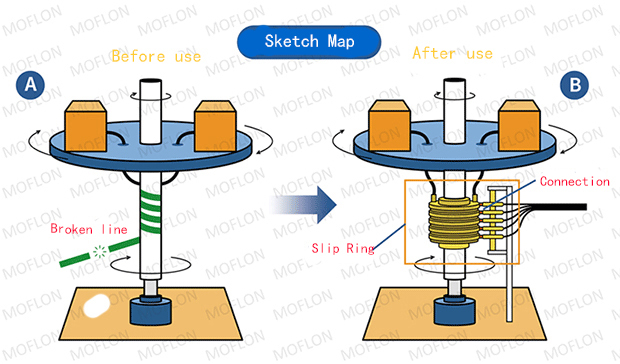 For the hottest industry in catering industry, Moflon through hole slip ring and capsule slip ring can perfectly solve the problem of rotating conductive winding.